Serving as courier to Nathao, the increasingly powerful King of Dreams, means Gwen Revmore gets a close-up look at the gods that most mortals can only imagine. Right now, it's not a position to be envied. This time, Gwen has landed in the middle of a dispute between mother and daughter when Persephone gives birth to a son outside the reach of her mother Demma, the goddess of knowledge and medicine. The child is supposed to be given to Demma to compensate her for her loss of Persephone to Luke, the Prince of Death, who fell in love at first sight and kidnapped her. But Persephone has her own plans for her son. Family secrets come out that make Gwen an unwitting participant as Demma demands another child-any child she finds acceptable. 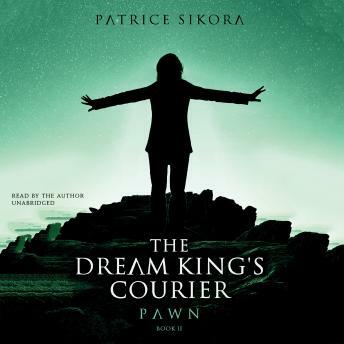 The dispute will hit close to home for Gwen and her son Sam before it's settled in the latest book in the Dream King Courier's fantasy series.